Registration is open for Denver/Boulder Youth Summer Leagues. These leagues run one evening a week from June through July and are for boys and girls ages 14 to 19. Learn-to-play clinics introducing the sport to kids who have never played before and also a playing opportunity for kids who know the sport a bit and just wanna play! 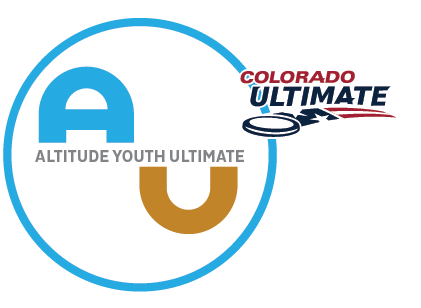 Altitude Ultimate is a 501c3 non-profit organization dedicated to developing athletes and promoting youth participation in Ultimate Frisbee teams, leagues, tournaments, camps, and clinics across the Front Range, Colorado, and the Rocky Mountain West. With a focus on equitable access and spirited play, Altitude Ultimate aims to foster opportunities to participate in all levels of competition; provide a clearinghouse of resources for coaches, players, parents, and fans; and serve as a stable, sustainable organization that grows and strengthens the ultimate community in the region. Founded in 2016, AYU is run by a volunteer board, made up of experienced Ultimate frisbee players and coaches dedicated to addressing the needs and goals of the Ultimate community in Colorado.